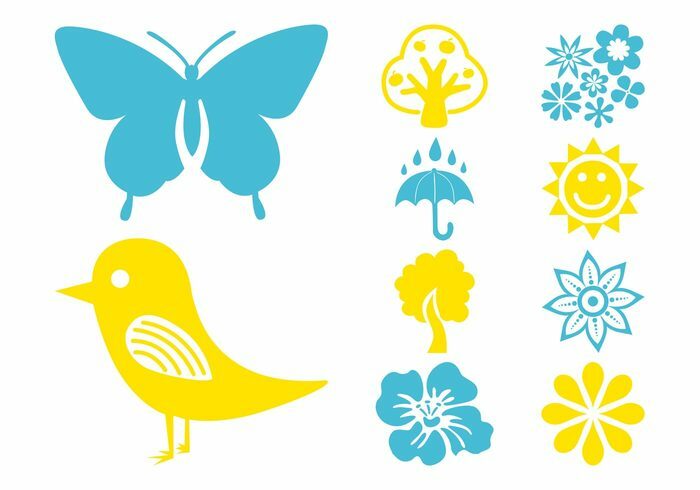 Plants and animals vector graphics of nature icons. Images of a smiling sun, umbrella, raindrops, flower blossoms, trees, butterfly, bird and hibiscus flower. Free vectors for nature, plants, flowers, weather, trees, animals, flora and fauna designs. Graphics for icons and logos.